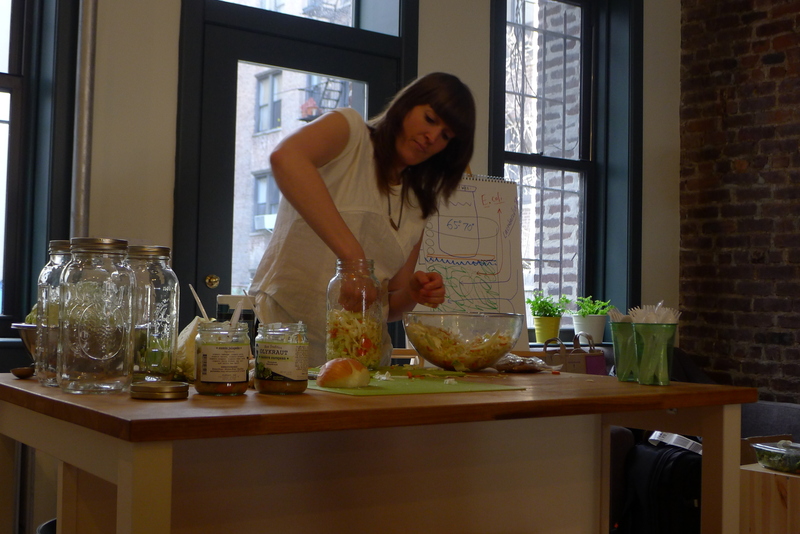 Today I headed back to the Brooklyn Brainery for a class on vegetable fermentation. I decided to go because I’ve enjoyed my other cookery sessions and because it was vegetarian. 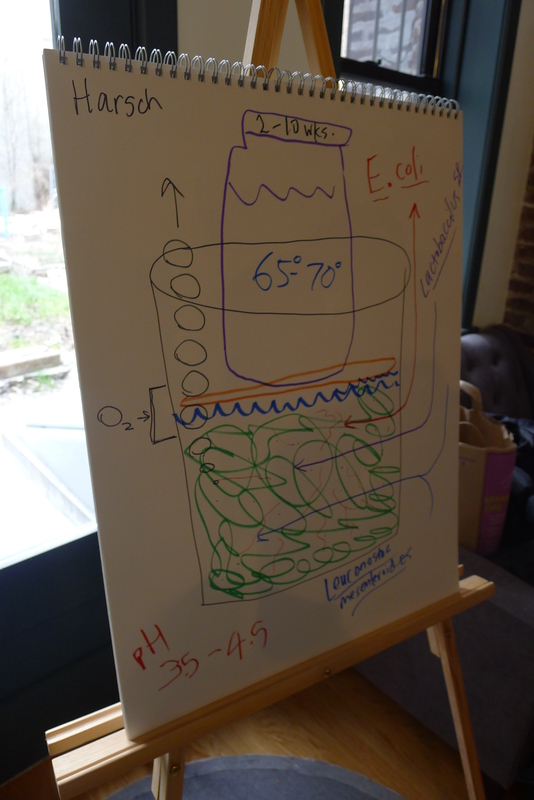 If I’m honest, I knew nothing about fermentation – or what it even was, really – before going along today. It meant that, for the first half an hour, I felt totally out of my depth. Like when I accidentally signed up to a Spanish class faaar beyond my skills as an undergraduate; I didn’t understand a word and just nodded along as other people said them. But I soon got into it and left genuinely knowing this is a process I will try – partly because it is so easy, and partly because I’m intrigued about how/whether it will work. 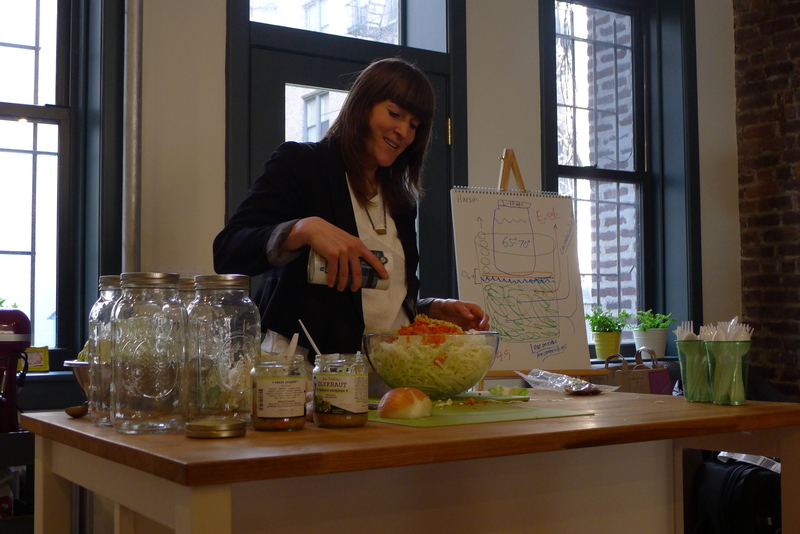 Our teacher was Summer Bock, who owns a sauerkraut company named Olykraut in Portland, Oregon. 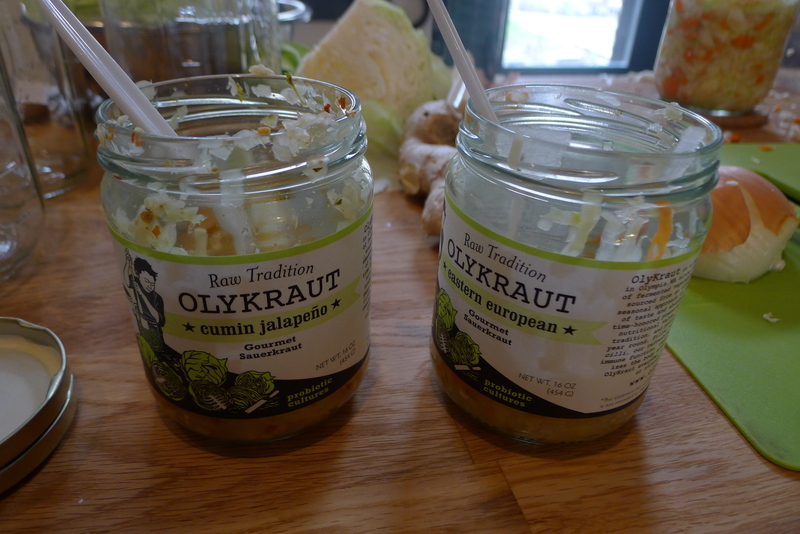 It sources and trades locally to keep the benefits within the community, which means that Olykraut hasn’t reached the east coast. Which is a shame, because it is so frickin good. 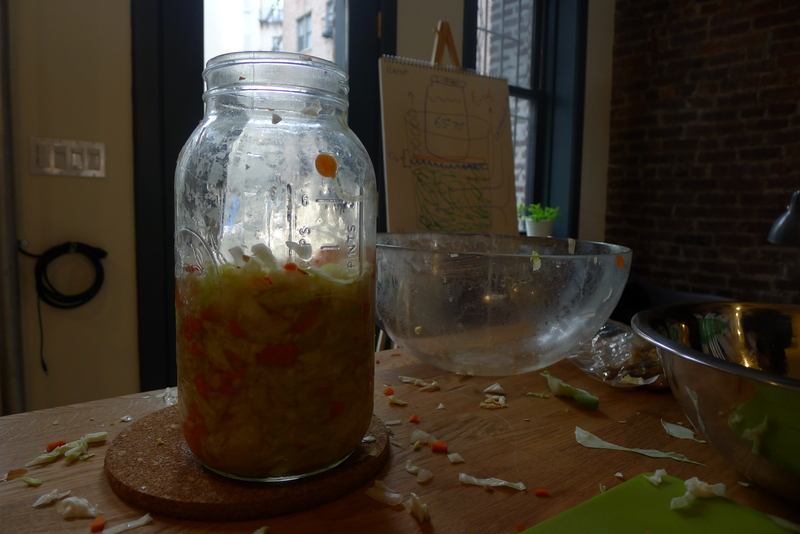 Summer started by leading us through the science of making sauerkraut. 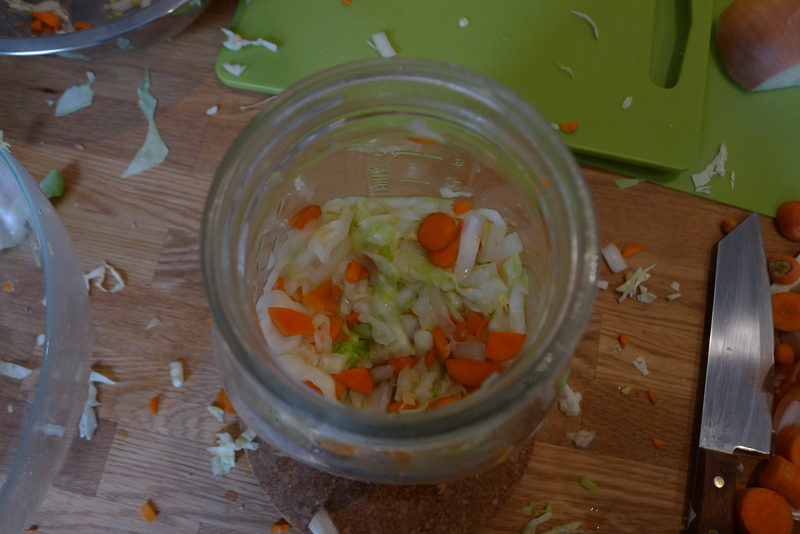 The process involves putting salt over cabbage and other veggies, leaving it in a container for weeks and then sniffing and tasting to see if it’s ready. Leaving it for that long means it’s filled with bacteria, but that’s the point – and many of my fellow classmates said they were there to help maintain healthy guts. So how does it work? 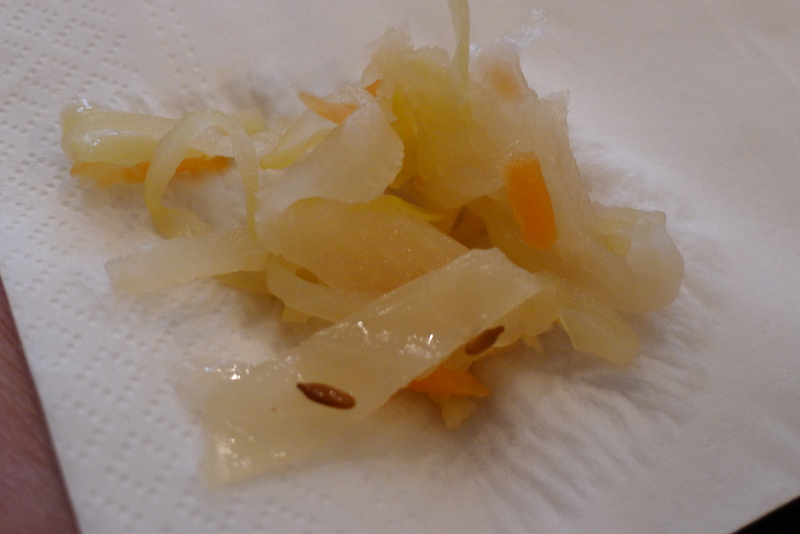 After you throw this salted veg in the container and seal it, the salt encourages anaerobic activity, sparking a series of three different bacteria which each produce lactic acid. Hence the acidity you taste. Depending on the container, the environment, the ingredients and your personal taste, it can take two to ten weeks to be ready. And I bet it’s a little stinky. Then you can use it as a condiment or with salads, and Summer suggested we have it every day for a month to see how it improves our guts. 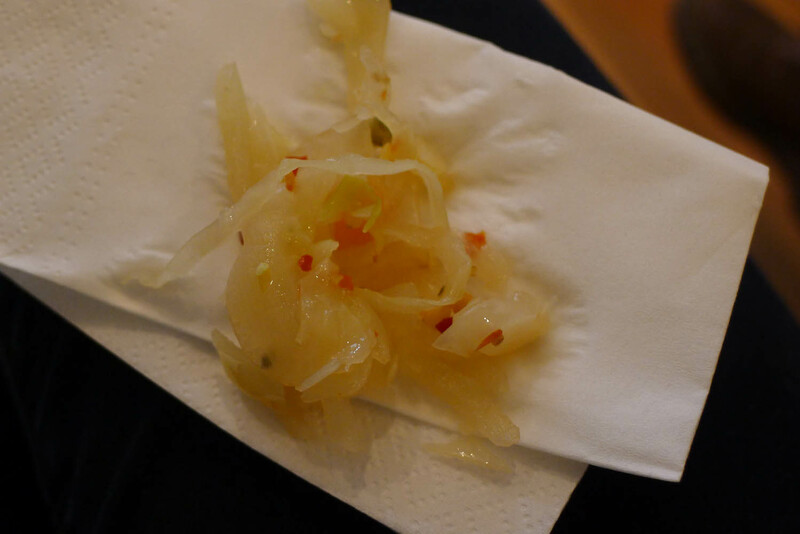 She also offered us some Olykraut samplings, one containing grapefruit, the other with chilli. Delicious. 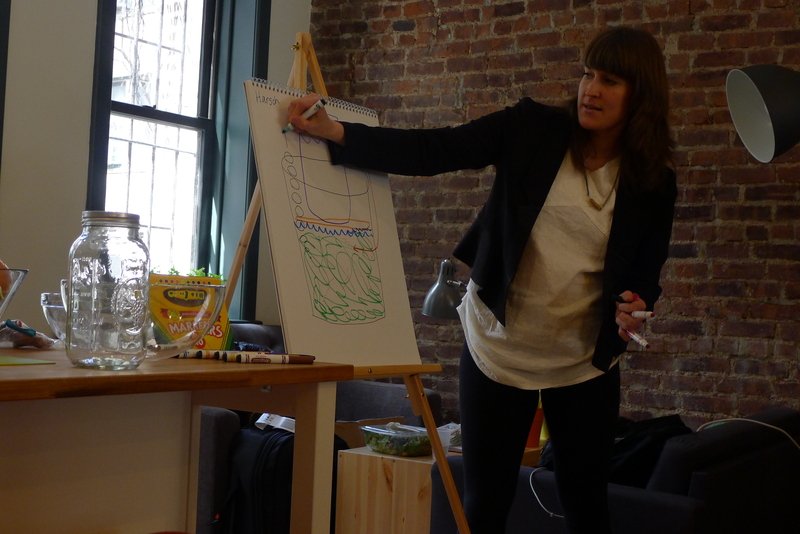 I went to this class knowing nothing and leaving with a ton of new knowledge thanks to Summer. While I’m not up to speed with all the microbiotic chat, I am intrigued about what I’m missing.